Pets aren’t appliances. They are living, breathing, loving animals who deserve as much loyalty and compassion as they give. This is why we fight so hard to stop the cruel puppy-making factories that create “inventory” for pet stores at an incredibly inhumane cost. While awareness of the puppy mill problem is growing, humane regulation at the state and federal level has been slower to evolve. The federal government in particular has continuously failed to protect dogs in puppy mills. But some states are taking the initiative. In California, 36 local jurisdictions are among the more than 230 cities, towns, and counties across the country which have passed ordinances to stop the sale of cruelly bred animals at pet stores in their communities. Now, California lawmakers have taken the next big step, passing an unprecedented piece of legislation—The Pet Rescue and Adoption Act (Assembly Bill 485)—that would make California the first state in the nation to ban the sale of commercially raised dogs, cats, and rabbits in pet stores across the state. The bill awaits Governor Brown’s signature, and on behalf of millions of animal advocates and at-risk animals it would affect, I urge him to sign it. The brutality of puppy and kitten mills and their connection to pet stores is well-documented. These animals generally live in overcrowded and unsanitary conditions—sometimes in wire-floored cages stacked in tall columns—without adequate veterinary care, food, water or socialization. Animals bred in these conditions may also suffer from severe health issues, including contagious and deadly diseases and congenital defects, as well as behavioral challenges. The U.S. Centers for Disease Control and Prevention (CDC) is currently investigating a multistate outbreak of bacterial infections linked to puppies from retail pet stores which has sickened 39 people. By cutting off the puppy mill pipeline that moves cruelly bred animals from across the country into California pet stores, A.B. 485 will also help prevent California consumers from being duped into purchases that contribute to unconscionable animal “production” and suffering. On a larger level, this law demonstrates how legislative action on animal welfare in general can advance from the local level to the state level, furthering the hope of creating a culture that values compassion over cruelty. You can contribute to that progress. If you live in California, let Governor Brown know how much he can help vulnerable and victimized animals with his signature. And wherever you live, consider adopting or fostering an animal in need and telling your friends and family to do the same. That will accelerate the evolution of humane standards in your community and, in the meantime, multiply the amount of love given and received in your home—something an appliance can never do. Every little bit counts, so please do what you can to help those in need. Thank you in advance. We've rescued a beautiful long-haired German Shepherd from the streets and named her Princess Leia for being the strong female trooper she is! Our Love and Licks® 501(c)3 Foundation is paying the bills to ensure she's in the best shape she can be for her fur-ever home (and if you ever want to help, just buy some Good Karma products - proceeds are donated to the foundation). Interested in adopting her? Click on the button below to get started! Got questions? Bark at us and we'd be happy to answer! ADOPTION FORM for Princess Leia! Thanks and have a Rockin' Paw Weekend! Want to stock up on our unique eco-chic swag but keep your paws kicked up? We feel ya. Shop anytime from anywhere at our Paw Shop! And don't forget to check out swag from our Love and Licks® 501(c)3 Foundation - proceeds from your purchase of those Good Karma poop bags® and t-shirts go to help pups in need! SUBSCRIBE to our brand new YouTube channel for exclusive behind-the-scenes looks at what we do and more! Know someone who wants to subscribe to our pawriffic newsletters to stay in the loop of what our pack is up to? Join us here! If you're a pack member of ours - store, organization or rescue - and you'd like to be featured in our weekly Spotlight, let us know! Be prepared. Pets who are away from home are more likely to have an accident or get into something that they shouldn't. 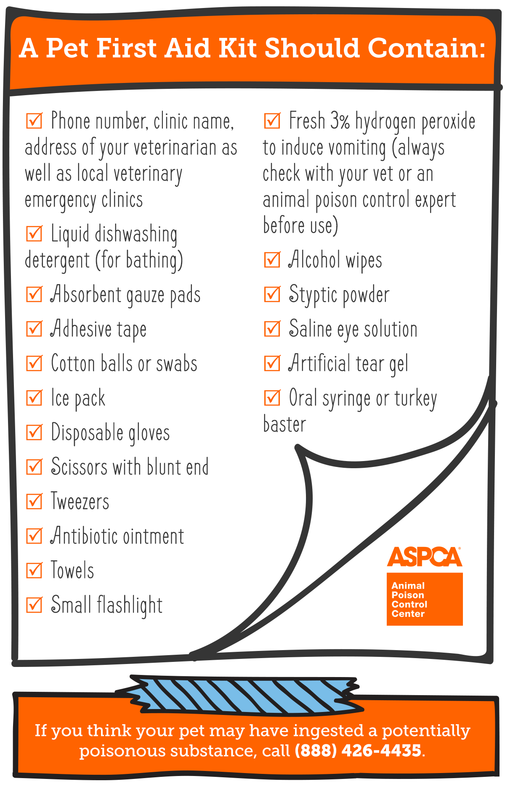 Before you leave home, make sure you program two numbers into your phone: a local veterinary emergency hospital at your destination and the ASPCA Animal Poison Control Center (888-426-4435). Also, make sure to pack a proper pet first aid kit. Tag your friends. Make sure your pets have proper identification visible on their collar, and consider getting them microchipped in case they get out of their collars. Pets who get loose are less likely to find their way back to an unfamiliar location, so identification is key to enabling happy reunions. Contact your veterinarian. If your pet has a complicated or extensive medical history, you might want to take a copy of his medical records with you in the event that you have to take him to an unknown vet during your travels. Also, if you are traveling between states, you may need an interstate health certificate for your pet before hitting the road. It's never a bad idea for your pet to get a clean bill of health before a big trip as well. Never leave your pet in a parked car. This goes for warm days as well as the hot ones. Even when it doesn’t seem very hot outside, the temperature in a car can quickly rise to dangerous levels and put your pet at risk of developing heat stroke or worse. Travel safely. When you are in the car with your pets, the best way ensure that they don’t have access to anything they shouldn't (such as food and medicine) is to buckle them up. Securing pets with harness-style seatbelts (or in crates/carriers) will also help protect them in the event of an accident and keep the driver less distracted. Scout out your hotel room. Always have a quick look around before letting your pet into a hotel room. APCC receives numerous calls about pets finding a pill or two left on the floor by a previous occupant. Also, if you are traveling with a cat or kitten, ensure that there isn't any way for them to crawl up into the bathroom vanity or into the mattress. (We are speaking from experience here as well). Pet proof your new space. Take a “pet's eye view” and look for any potential issues. Are indoor plants safely out of reach? Can your pet reach that bottle of medication? Does a child's toy on the floor look just like her dog toys at home? Ensure that counters are cleaned off, and consider bringing a baby gate and/or a crate with you to help prevent access to any areas that you are unable to make safe for your pets.